When it comes to a Utah ski vacation, packing light can seem nearly impossible. Even if you rent skis/boards and boots in Utah, ski jackets, pants, helmets and goggles for the family can fill up your luggage with their bulkiness. Renting ski gear and clothing is a smart way to travel light. If you only ski/snowboard once a year and are from somewhere warm where you don't need cold weather gear, it's cheaper than buying and less of a hassle to travel without it. It's your first time skiing and you don't own any gear yet. Your child is growing and you're not ready to invest in gear they'll just grow out of. 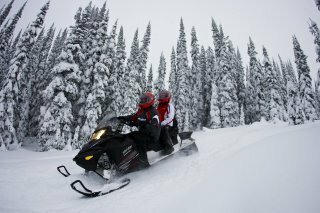 One of your group doesn't ski or board but likes to snowmobile or snowshoe, renting for them seems like the answer. You forgot an item and instead of investing in new gear, you can simply rent. The airline lost your luggage and you need something to get you through until your gear arrives. Renting could save you time, money and lots of packing hassles. 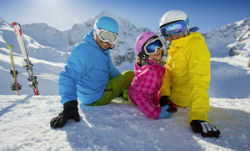 Saving you money by showing you where to get the best deals on ski and snowboard rentals is one of our services. The Salt Lake Ski Shops to help you save $$$ are Canyon Sports and AJ Motion Sports. Together there have 3 locations, one downtown Salt Lake which you drive by on your way up to Park City. The 2nd ski shop is at 1881 East Fort Union Blvd, (7200 South in the Cottonwood Heights Shopping Center which houses one of our State Liquor and Wine Stores) and is close to the entrance of both Big and Little Cottonwood Canyons that take you to Alta, Brighton, Solitude and Snowbird Ski Resorts. And in Sandy in the Little Cottonwood Shopping Center at 1956 East 9400 South. This location covers the entire south end of the valley and is close to the entrance of Little Cottonwood Canyon, leading you up to Alta & Snowbird Resort. Want your skis or snowboards delivered right to you? Have their experts fit you right at your condo, home or hotel! Ski Rental Delivery by both Canyon Sports and AJ Motion Sports now allow you to have your skis, snowboards, and other equipment delivered to the comforts of your home, condo, or hotel. This means no more standing in line. Enjoy your ski vacation with the highest possible service. Whether you are in the Salt Lake Valley, Park City, Deer Valley, The Canyons, Alta, Snowbird, Brighton or Solitude we'll come right to you. 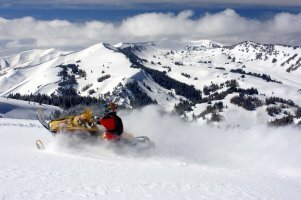 You'll save time and get your Utah ski vacation off to unbelievable start! They come directly to you! Their knowledgeable ski concierge will fit you with the skis or snowboard you need as well as bring you lift tickets and other equipment as requested. Their services don't take long but their concierge will take as much time as needed to help you have a great experience. You can relax while they fit you and answer any questions you may have, no more waiting in line or sitting on benches. Their equipment is always the newest and best you can find. When you are done with the equipment, they pick it up at no extra charge or you can drop it off at any one of their store locations. It takes just 3 steps with the form on their websites. After your order is successfully submitted, you will receive an email confirming your reservation. You will also save $$$ by using any of the Free Coupons that they offer on their websites. For Example, Save 30% If You Book Online at AJ Motion Sports or Rent For 3 and Get the 4th Day Free at Canyon Sports. Both Utah Ski Shops Update Their Free Ski Coupons Often, So, Check Back Weekly. Discount Ski Lift Tickets to All of Utah's Ski Resorts. Save $ 16.00 to $ 20.00 Daily For You and Everyone in Your Group. No Blacked Out Days! e-mail us and request Free Ski Lodging Info be sent to you. Remember to type in "Free Utah Ski Lodging Info", when you "may" be visiting, how many "may" be in your party, and your address if you want them mailed to you. Helpful Info, Where to buy groceries, etc. Providing the planning tools to make your Utah winter vacation a seamless and unforgettable experience. Up-to-date information on our ski resorts, hotels, lodging rentals, discount lift tickets, insider tips and so much more. Feel free to contact us for personal assistance. personal assistance.